One of the best things about fall, in my opinion, is CANDY CORN!!!! I love eating them and I love crafting up my own candy corn creations. I found this pallet sign on clearance and knew it would make a great project. What? I had no idea but I decided to cut the ends so they were all even and not pointy. Then, with candy corn on the brain, I got to work. 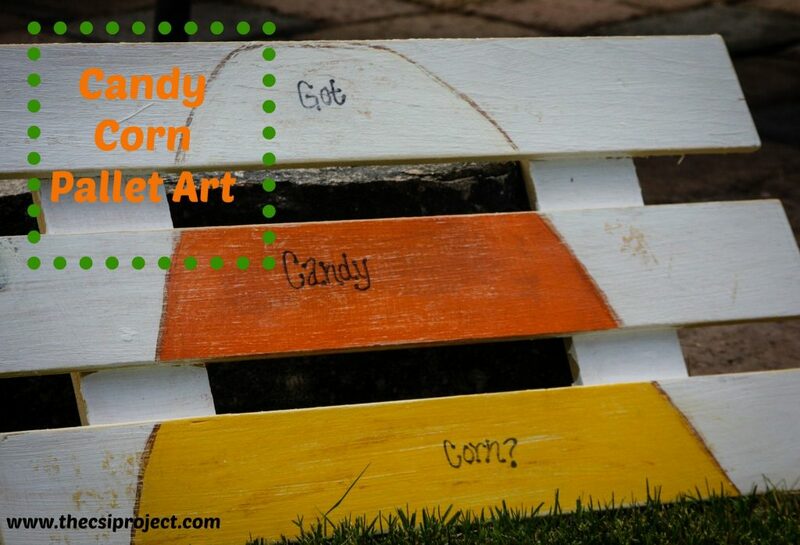 I painted it with white chalk paint to get started and then grabbed my yellow and orange. I sanded down the entire pallet to give it that distressed look. Love, love a distressed look!